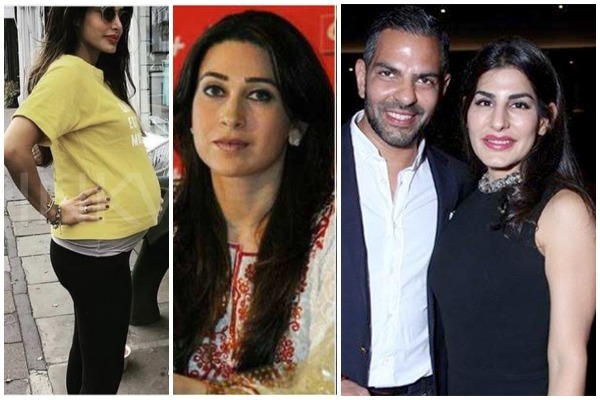 Karisma Kapoor’s ex-husband Sunjay Kapur is expecting first child with his third wife Priya Sachdev. Yesteryear’s Bollywood actress Karisma Kapoor parted ways with her first husband Sunjay Kapur back in June 2016. Ever since the estranged couple’s bitter separation and divorce, they have maintained a healthy distance. Since 2016, both Sunjay and Karisma have moved on from their past. While Karisma Kapoor has been in a steady relationship with businessman Sandeep Toshniwal, Sunjay Kapur got married to Priya Sachdev in 2017. And now it looks like Sunjay and Priya are adding to their little family of two! As per Priya Sachdev’s Instagram posts—she is expecting their first child! Reportedly, Priya is expected to deliver in December and is nearly seven months along in her pregnancy. Naturally, the couple is over the moon with the impending arrival of the new addition in their family. Sunjay and Priya entered holy matrimony in April 2017 in an intimate ceremony with families and close friends were in attendance. Prior to getting married, Sunjay and Priya had been dating each other for a few years. It is to be noted that Sunjay Kapur was married to Karisma Kapoor during his courtship period with Priya Sachdev! This is Sunjay Kapur’s third marriage and Priya Sachdev’s second marriage. While Sunjay is co-parenting daughter Samaira and son Kiaan with ex-wife Karisma Kapoor, Priya has a daughter with ex-husband Vikram Chatwal. Priya Sachdev who celebrated her first anniversary with her husband Sunjay earlier this year in April runs an entrepreneurial venture with her sister. Next : Justin Bieber Introduces Hailey Baldwin As His Wife, Are They Married? Read To Find The Truth!